Final Fantasy VII Advent Children (ファイナルファンタジーVII アドベントチルドレン, Fainaru Fantajī Sebun Adobento Chirudoren?) is a 2005 computer-animated film directed by Tetsuya Nomura, co-directed by Takeshi Nozue, and written by Kazushige Nojima. It was produced by Yoshinori Kitase, and the soundtrack was composed by Nobuo Uematsu. Advent Children was the first announced title in the Compilation of Final Fantasy VII series. The film is based on the highly successful role-playing game Final Fantasy VII from 1997. 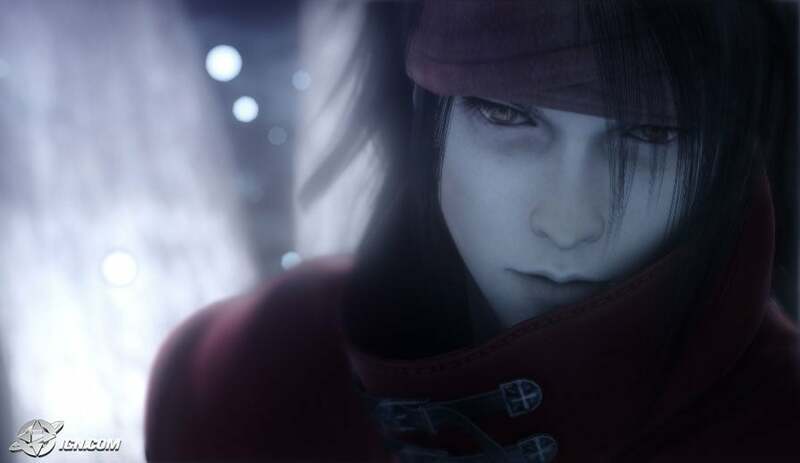 It is set two years after Final Fantasy VII and one year before Dirge of Cerberus: Final Fantasy VII, and follows Cloud Strife as he unravels the cause of the mysterious plague "geostigma" that has beset the population. The initial DVD and UMD release of the film in 2005 was voiced in Japanese. The English-dubbed versions were released on April 25, 2006. The film got a relatively positive reception, and received the "Maria Award" at the Festival Internacional de Cinema de Catalunya in 2005. As of 2006, the DVD and UMD releases of Advent Children has sold over 2.4 million copies worldwide. Two years after the events of Final Fantasy VII, the Planet is recovering from the devastating attack by Meteor, while the survivors of Midgar have begun to build a new city, aptly named "Edge", on the outskirts of the old metropolis. However, a strange disease known as "geostigma" has arisen. After his showdown with Sephiroth, Cloud Strife established the "Strife Delivery Service", with the aid of Tifa Lockhart, whom he has been living with in Edge. Marlene Wallace and an orphaned boy named Denzel have been entrusted to their care. After receiving a message from Tifa, Cloud is attacked by three mysterious men who believe that he knows the location of their missing "mother". Cloud fights them on his motorcycle using an updated "Buster Sword" of sorts. However, the battle is cut short and he escapes. Hoping to gain information on the mysterious attackers, Cloud visits Rufus Shinra, the leader of the seemingly defunct Shinra Company. Rufus attempts to enlist Cloud's help to stop the trio, but fails. After their meeting, Kadaj, leader of the men who attacked Cloud, breaks into Rufus' lodge and demands that Rufus tell him where to find his "mother". It is revealed by Kadaj that "mother" is the remains of Jenova, and is somehow connected to the cause of the geostigma. Kadaj also announces that he and his "brothers", Yazoo and Loz, are planning a new "reunion" that will culminate in an assault on the Planet itself. Tifa fighting Loz in Aerith's churchLoz arrives at Aerith Gainsborough's church in an attempt to find their "mother", and is confronted by Tifa. A short battle ensues with Tifa holding the upper hand, burying Loz in a pile of rubble. Loz's consciousness is however quickly regained and he resumes the fight. After distracting Tifa, he uses his lightning-speed powers and hits her. She is hit once more by Loz, but Marlene distracts Loz by throwing materia from Cloud's storage chest. Loz closes in on Marlene and Tifa tells her to run just before the scene changes. Kadaj and his "brothers" begin collecting children infected with geostigma, including Denzel and the uninfected Marlene, and take them to the Forgotten City. Cloud goes to the Forgotten City and once there, battles with Loz and Yazoo in a match that shows many Limit Break Techniques from Final Fantasy VII. He almost takes the lives of Yazoo (with a "Cross Slash" Limit Break) and Loz (with a "Braver" Limit Break) while they fight in the trees, but he fails and ultimately loses after he uses a "Blade Beam" Limit Break (to block an attack from Loz) and Yazoo attacks him from behind, which is followed with Vincent Valentine saving him. Vincent reveals to Cloud what the trio are seeking and that it could result in the return of Sephiroth. He also tells him that geostigma is the result of one's body working excessively to fight off an infection brought on by Jenova's lingering presence within the Lifestream. Cloud agrees to return to Edge and face Kadaj in direct battle. In Edge, the villainous trio call forth several monsters to attack the populace, including the dragon summon "Bahamut SIN". While the other party members of Final Fantasy VII deal with Bahamut SIN, Reno and Rude attempt to take care of Yazoo and Loz until Cloud arrives. Through their teamwork, Cloud and his friends soon dispatch the monsters and Cloud finishes off Bahamut SIN with an updated "Climhazard" Limit Break. In a nearby building, Rufus reveals to Kadaj that he has been in possession of the remains of Jenova all along, tossing the box containing it from the edge of the building. Kadaj dives after the box and recovers it, although Rufus manages to damage the box, spilling some of the contents inside. Kadaj spots Cloud in hot pursuit of him, and a motorcycle chase carries them into the ruins of Midgar. Cloud catches up to Kadaj and they slide off of the end of the unfinished highway. They then go into Aerith's church where they confront each other. Cloud comes off worse for it until a magical blast from Kadaj destroys the flowerbed and releases an outflow of seemingly Lifestream-infused water which cures Cloud's geostigma and proves to be harmful to Kadaj. Cloud pursues Kadaj, who has fled to the ruins of Shinra Headquarters in the center of Midgar. The two fight and as Cloud has Kadaj in the brink of defeat, Kadaj distracts Cloud with the box containing Jenova's remains, which Kadaj then jumps after and absorbs into his body. Cloud attempts to land a deathblow to Kadaj but is stopped and parried in midair when Kadaj transforms into Sephiroth at a blink of an eye. He reveals that once those who die from the geostigma return to the Lifestream, he will be able to control it and use the Planet as a vessel to travel space in search of a new planet. Aerith and Zack in the final sceneA battle between Cloud and Sephiroth follows across Midgar. 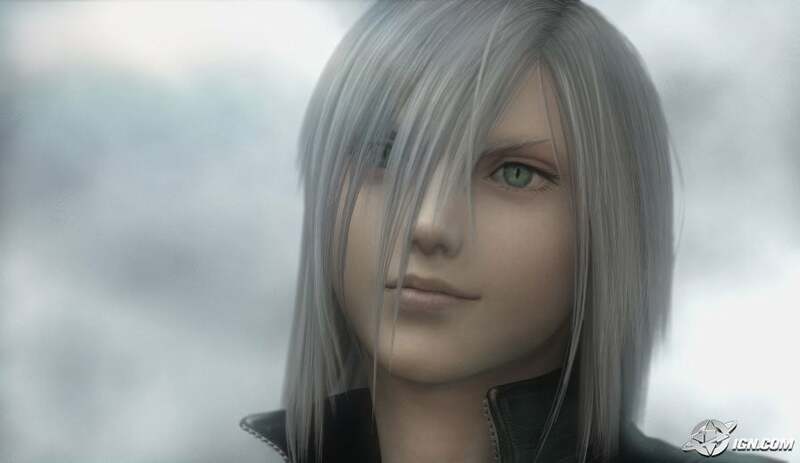 Cloud eventually gains strength and confidence from thinking of everything he holds dear which Sephiroth would destroy. The battle ends with Cloud defeating Sephiroth with an updated version of his Omnislash Limit Break. Sephiroth dissipates, leaving a severely weakened Kadaj at Cloud's mercy. Aerith's spirit begins to pour healing rain across Edge, curing everyone of their geostigma. Aerith tells Kadaj to be at rest, who believes Aerith's voice to be that of his "mother", and he is taken by the Lifestream. After that, Cloud is shot by surprise by Yazoo. He and Loz are now slowly succumbing to the healing rain as well. They both have an arm full of materia, and they prepare one final blast at Cloud, resulting in a large explosion that disintegrates them and engulfs Cloud. Cloud appears surrounded by a white light, and Aerith and Zack are heard. 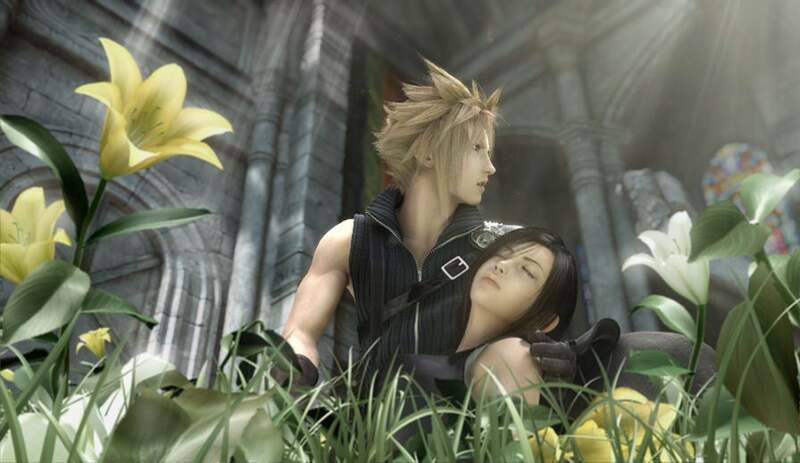 Zack tells Cloud that his place is not with them yet, and sends him back to Aerith's church through the Lifestream. Cloud awakens in Aerith's old church with wounds healed, now surrounded by his friends and the citizens of Edge. He then demonstrates the healing powers of the water pooled in the church by curing the children afflicted with the geostigma. Cloud looks in the direction of his friends, and his first smile is triggered. He then suddenly stops when he sees Aerith crouching by some other children. As she stands and walks to the doorway, she turns back to assure Cloud that he's all right, and then steps into a white light with Zack. Finally at peace, Cloud agrees, and knows that he's no longer alone. At the end credits, Cloud is seen riding his Fenrir through a field of flowers, where Aerith is standing, seemingly waiting for him.